A Yoga Workshop is an ideal way to explore and develop your Yoga practice. Workshops are usually 2 to 3 hour long sessions or short courses where there is time for you to discover the chosen aspect or theme in a more in-depth way than just the average Yoga class. It is as ideal opportunity to enjoy and learn some new and exciting things about your Yoga! *Please note that workshop and course fees are non refundable and non transferable. his course is ideal if you have a had a regular practice for 2 years or more and would like to look a little deeper into your practice. Also ideal if you have completed a Foundation Course or are on or considering a teacher training. 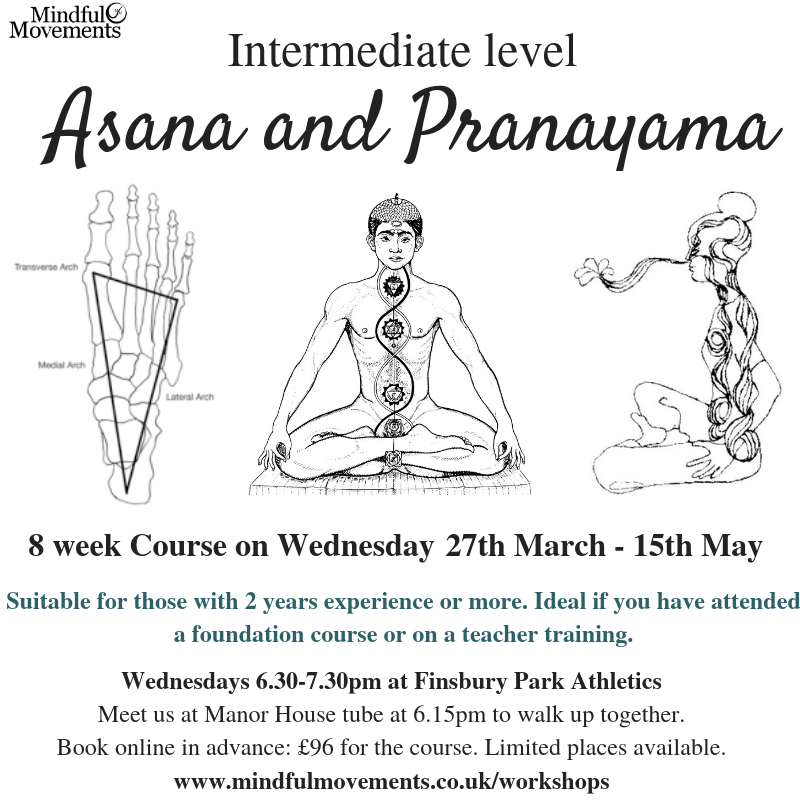 ​ Interweaving some aspects of Yoga Philosophy, will look at the fine details of what is going on physically in our Asana practice as well as a pranayama practice at the end of each class. This course has a limited number of places so booking online in advance is essential. Venue: Finsbury Park Athletics Track.